Artificial intelligence, machine learning, and automation are driving unprecedented change, and with great change comes uncertainty. How do business leaders manage uncertainty? 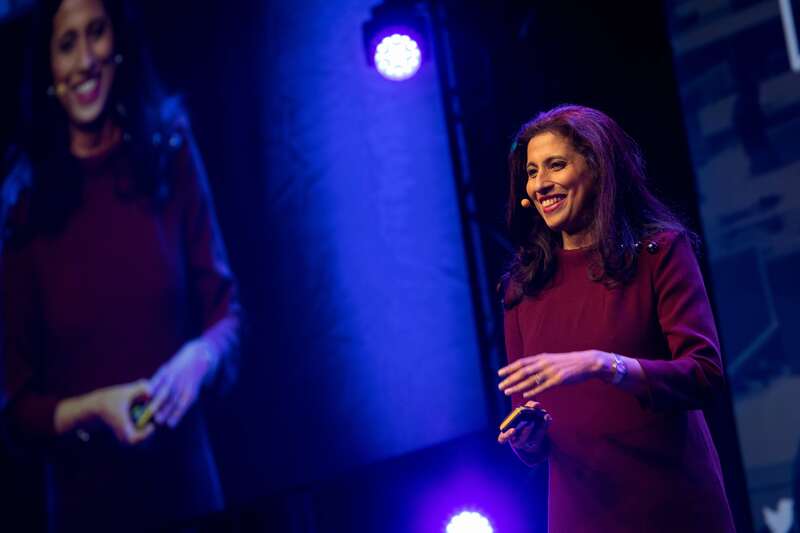 By bringing the power of humanity back into their organizations, said Leena Nair, chief human resources officer at Unilever, who delivered the Customer Innovation Keynote at Workday Rising Europe. Nair defined an upside-down world as one where the pace of business and disruption have challenged our staple assumptions about the way businesses operate, how and where people work, and the way they are managed. “Those who really thrive in the upside down world are those who can bring a more human touch to what they do,” said Unilever CHRO Leena Nair. With 170,000 employees, Unilever is one of the oldest multinational companies in the world. Its 400+ consumer brands (Dove, Lipton, and Ben & Jerry’s, to name a few) are available in around 190 countries. Even with such size and scale, Unilever has adopted a change initiative designed to empower employees at all levels of the business. Connected 4 Growth (C4G) is a decentralization program driven by 240 cross-functional, entrepreneurial teams, who are empowered to make decisions within their countries and functions, and drive innovation through their own agendas. Nair also focused on the importance of continuing to learn beyond a university education, as the model of building a career based on skills achieved primarily from academia has long been broken. Nair wrapped up her talk by circling back to the idea of being more human in an increasingly technical world.